This year at Waldwick High School we have moved away from the traditional Final Exams which covered content from September to June and counted as 1/9 of the final grade. Instead, we are introducing Mid-Year assessments which cover content from September to the beginning of January. Most of the assessments will take place during the week of January 14. In June we will have second half assessments, which will cover content from the end of January to the beginning of June. The assessments will vary by department: traditional test, written responses, projects, presentations, etc. These assessments will count towards the marking period grade and will replace any end of marking period assessment. There will not be a special schedule for the week of January 14. All classes will meet as normal. We have created a schedule to spread out the assessments so that students are not overwhelmed. We are planning the Second Annual Alumni Day @ WHS on Friday, December 21, with the goal of having recent graduates speak with our current seniors about college/life related topics. Our goal is for you to help the seniors prepare for life after Waldwick High School. Depending upon the response from the alumni, we would like to start the morning with a panel discussion in the Little Theater, followed-up with breakout sessions on different college/life related topics. If you would be interested in taking part in the Alumni Day on 12/21, please fill out this form: Alumni Day 2018 by Friday, December 7. What to expect when you leave Waldwick. No more Waldwick bubble. If you could go back, what would you tell the current seniors? Roommates--how did you go about finding one, switches? The Web Store is now open. Store will close on December 7th. The guidance counselors will be on hand to meet with parents and provide generalized information about the WHS Guidance office. The counselors will talk about WHS graduation requirements, Naviance, and generalized college and career topics. After a short presentation, the counselors will answer any questions you may have. This presentation is not intended for student specific questions. If you have specific questions about your child, you would need to make an appointment or call your child’s counselor. 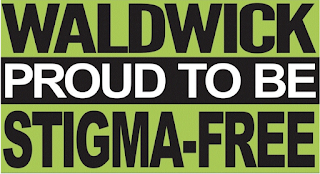 The Waldwick Stigma-Free Committee will host Talk Saves Lives, Monday, October 1st, 7:00 pm, Waldwick Public Library, 19 E. Prospect Street. This free program covers health, environmental and historical factors that can collectively contribute to an individual’s coping skills being compromised. Talk Saves Lives can help the many “gatekeepers” in our communities assess the warning signs of suicide in our families, friend groups, co-workers, and acquaintances. It is my pleasure to introduce Lois Gray to the Waldwick community. Mrs. Gray is our new school nurse and we are very excited to have her as part of WHS. I grew up in Clifton with four sisters and one brother. I have lived in Waldwick for 21 years with my husband and our three children. I received my Nursing Degree from Ramapo College, the year my oldest graduated from high school. I continued my education at Felician University where I received my School Nurse Certification and a Masters in Education. I also received my Supervisory Certification from St. Peter's University last year. I have been a school nurse for almost nine years. It is my pleasure to introduce Audrey Donahue to the Waldwick community. Ms. Donahue will be a great addition to our Physical Education and Health Department. We are very excited to have her part of WHS. I grew up in River Vale, New Jersey and attended Pascack Valley High School. I was a competitive gymnast for 10 years and a member of my high school's varsity gymnastics team for 4 years. I went to Bloomsburg University in Bloomsburg, Pennsylvania where I majored in Exercise Science. I then went on to earn my Master of Arts in Teaching Degree for Physical Education at Manhattanville College in Purchase, New York. Throughout my last year of high school and four years of college, I worked as a personal trainer and gymnastics instructor/coach. During my two years of graduate school, I also gained experience through substitute teaching at my hometown high school district. It is my pleasure to introduce Kevin Rutz to the Waldwick community. Mr. Rutz will be a great addition to our Related Arts Department as a Technology teacher. We are very excited to have him as part of WHS. I was born and raised in Toms River, NJ and I always filled the role of handyman for my family. I would build, install and fix anything that needed repair. I played football and tennis, sang in chorus and acted throughout high school. I began my college career at Ocean County College and completed my Bachelor's Degree in interdisciplinary business at TCNJ (the College of New Jersey). I returned to school for Technology Education and received my MAT in Technology Education as part of the Woodrow Wilson Fellowship. It is my pleasure to introduce Jeffrey Dodd to the Waldwick community. Mr. Dodd will be a great addition to our Science Department as a Biology teacher. We are very excited to have him as part of WHS. I have lived all over Northern New Jersey, went to Ramapo College for my Bachelors of Science and then to Montclair State for my Masters in Education. It is my pleasure to introduce Dr. Cindy Abashkin to the Waldwick community. Dr. Abashkin will be a great addition to our Science Department as a Biology teacher. We are very excited to have her as part of WHS. Growing up in Clifton, I was intrigued by Biology and Anatomy at an early age. I took that curiosity to Rutgers University to earn a degree in Biology and then attended Palmer College of Chiropractic to obtain my doctorate in Chiropractic. I have been practicing Chiropractic for ten years and have been teaching for two. Having teachers at an early age that created a spark for knowledge is something I will always be grateful for. As I started teaching and consulting patients, I quickly realized how much I enjoyed teaching them about nutrition and wellness. Coming from a family of educators, I eventually came to realize it was a personal calling as well. It is my pleasure to introduce Kimberly Monico-Rifi to the Waldwick community. Mrs. Rifi will be a great addition to our Child Study Team as a School Psychologist. We are very excited to have her as part of WHS. I have had the awesome opportunity of teaching 3rd-5th grade in Waldwick, at Traphagen, for the past 14 years. I graduated from Montclair State University in 2001 with a B.A. in Elementary Education. Then, in 2007, I completed a Masters in Educational Psychology. In May of 2018, I completed a 2nd Masters in Clinical Psychology, with a School Psychology certification. I am really looking forward to continuing my career as the School Psychologist in the Waldwick School District. WarriorNation, lets have some fun this year with all of those first day of school pics. WHS & WMS had signs made for our kids to hold up before you take that “Out the door, first day of school picture”. Below is a link to a Google Folder that has a sign for each grade level. You can print the appropriate grade level sign and have your child hold it up while you take the picture. We would love to see as many pictures as possible this year. Make it happen #WarriorNation, lets have some fun with this! I am pleased to announce that after a successful first year, WHS will continue with the My School Bucks online payment system for your child to purchase lunch. Accounts have been created for all students as of August 27. The program will begin on the first day of school, which is Wednesday, September 5, 2018. The system is called My School Bucks. This online payment service provides a quick and easy way to add money to your student's meal account using a credit/debit card or electronic check. You will need your child's Genesis student ID number when setting up the account. You can also view recent purchases, check balances and set-up low balance alerts for FREE! Convenience - Available 24/7 on the web or through our mobile app for your smartphone. Efficiency - Make payments for all of your students, even if they attend different schools within the district. Eliminate the need for your student to take money to school. Seniors are only allowed to park in the numbered spots in the lower lot. There are 57 student spots which have been numbered. Clearly, not enough for everyone, but that's what we have. Please remember, parking on campus is a privilege, not a right. If parking becomes an issue with students parking in staff spots, I will implement a lottery system and assign spots per marking period. 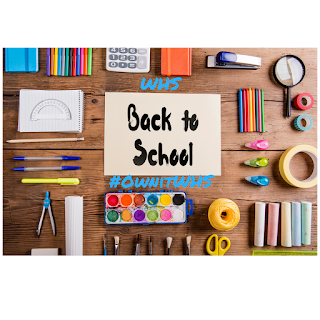 Ready for your kids to go back to school? Tired of your kids on Fortnite all day? Well our doors will be opening on Wednesday, September 5 and we can't wait to see them! Below is some information related to the start of school and a funny Fortnite video that I'm sure many of you can relate to. September 5 we will follow a Special Schedule where all classes will meet. There is no Homeroom so everyone will report to their Period 1 class by 8am. Students should bring a copy of their schedule or a screen shot. Health classes will start on Thursday, 9/6. All students should report to the Gym on the first day. Science Labs will not start until Thursday, 9/13. Locker # and combination are available on Genesis, as well as on your schedule. Waldwick High School is committed to the safety and security of our students and staff. It continues to be a top priority for our educational community. To that end, I am pleased to announce that further steps have been taken to better secure our facility. I am pleased to report that surveillance cameras are being installed in and around the HS/MS complex. These cameras should be up and running prior to the start of the new school year. In addition to these new security measures, a new policy is being implemented that will better allow us to monitor and regulate the traffic through the school and main office. This policy will focus on visitors to the school who will be dropping off items for students. August 14, 2018, Waldwick, NJ– Waldwick High School has established a 3-year partnership with Positive Coaching Alliance (PCA), a national non-profit developing “Better Athletes, Better People” by working to provide all youth and high school athletes a positive, character-building sports experience. The partnership provides Waldwick High School access to PCA’s training for coaches, sports parents, student-athletes and administrators, comprising live group workshops, online courses, books by PCA Founder Jim Thompson and additional online resources, such as e-mailed follow-up tips and reminders. Sean Fisher passed away ten years ago this upcoming August. To honor his life, we want to hold a ceremony. We want to bring not only bring Sean’s classmates together but more importantly the Waldwick community as a whole. Our goal is to raise as much money as possible with all proceeds going to the Sean Fisher Memorial Foundation. We want to raise awareness for early age heart condition screening. *Yes I said the wrong year in the video. Mistakes happen. For the tenth consecutive year, Waldwick High School has teamed up with the Sean Fisher Memorial Foundation and the Gift of Life Foundation to honor the life of Sean Fisher and provide heart screenings to all 9th graders. The screening program is offered at no cost to the Freshman class ONLY and will take place at Waldwick High School on Thursday, September 20 and Friday, September 21 during school hours. The company that will be handling the screening ismCORE. Screenings takes approximately 15-20 minutes and includes: electrocardiogram (EKG) and echocardiogram. In order for a freshman to take advantage of this opportunity, they most go online, select a time slot and create an account on the mCORE site using the link below. If you have any questions please see/call/email Mr. Carroll. 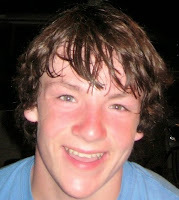 Please check out the Sean Fisher Memorial Foundation websiteto learn more about Sean and the Foundation. Again this year we opening Genesis Parent Access earlier so parents have the ability to complete all of the necessary forms. Once the required forms are completed, your child(ren)’s schedule will be visible on both the parent account and student account. Through Genesis Parent Access, all parents are required to complete the following forms under the Forms Tab. Once you click on the form link, you have the ability to read and sign all forms online (Forms are only available through parent accounts). PayForIt is up and ready to accept payment for the Chromebook Insurance Fee. Directions for online payment. In addition to the two forms mentioned above, you will also see forms for Random Drug Testing and Senior Privileges. 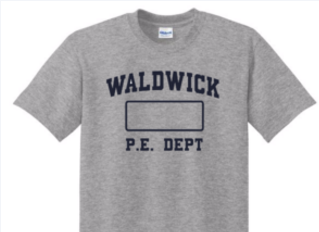 It is a mandatory requirement for all HS Students to wear at least the WHS PE Department T-shirt and Shorts. Failure to do so will penalize a student's overall PE Grade. All orders should arrive to the High School by the last week of September. No student will be penalized until the orders have arrived. Until then, the PE Dept. will allow students to change into any appropriate top (t-shirt) and bottom (mesh/athletic shorts) that are grey or navy. Please contact Mr. Hagen if you have any questions. The Waldwick High School Guidance Department advises that all juniors take the PSAT/Preliminary SAT Test, which is held in October each year. The Guidance Department highly recommends all sophomores take this test as well. This test serves as a practice SAT for 10th grade student. For the 11th grade student, taking this test will qualify them for the National Merit Scholarship Corporation (NMSC) scholarship programs. This student focused event will start promptly at 1pm in the Little Theater and will last until 2:30pm. The peer mentors and I are looking forward to meeting all of you and are excited for the 2018 - 2019 school year. All students need to bring is a copy of their schedule with them. The fall season is almost upon us and the deadline of August 1 to hand in fall paperwork is even closer. I wanted to reach out to explain exactly which four items are needed in order to be cleared for participation for the fall season. 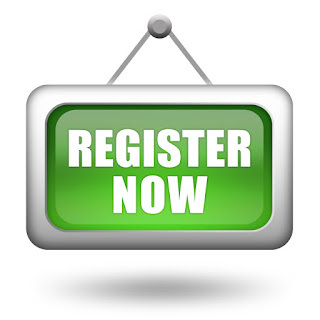 The following links contain the files and information required for participation. 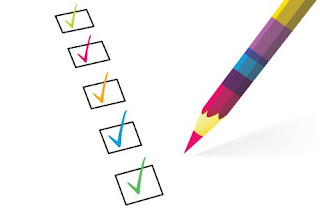 These forms must be completed in full, and without errors or they will be returned for completion. -The physical must be completed in full and signed by the student, parent and physician in all the applicable places. Please take care to note before leaving the doctor's office that all values (height, weight, vision etc.) must be filled in or the physical will be returned for completion. 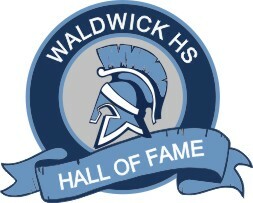 The Waldwick High School Athletic Hall of Fame is proud and excited to announce the 2018 class of inductees. Since 1963, Warrior Nation has been represented by many outstanding athletes, coaches, and teams. The 2018 class features five outstanding individuals, two coaches, one team, and one special contributor. JACK DUNICH - Jack, a junior, has excelled this year in AP Economics and Honors US History II. He is a hard-working, attentive and self-motivated student who has flourished in the social sciences. He is able to grasp high level economic theory, as well as the complex events of the World Wars.Jack impresses us with his ability to balance academics with athletics, involvement in clubs and a part-time job. Add the fact that he is an outstanding school citizen and we can say that not only is Jack a treasured asset to our Social Studies classes, but to the entire Warrior community.